This guide outlines the various types of wood flooring you can buy for your home or commercial premises. It will further guide you with the types of the wooden floors available and help you choose the right product for the purpose. You can also read about options of installing and caring for wood flooring. Natural oak wood has been used as flooring in homes, public buildings and commercial properties for centuries and lasted the test of time in both fashion and longevity. Still an expensive option for home flooring that comes with high maintenance but it always wins to impress and looks beautiful when complimented with the right interior décor. Visit Floors Direct to start browsing for natural wood flooring products. The preservation of trees across the world and increasing demand of wood has kept the cost of this type of flooring relatively high compared to its counterparts. We bring you the best affordable prices for wood flooring ranging in between £14 to £40 per m². The price differs against the quality of wood, the type of finish and the brand manufacturer and production costs. It may not be easy to decide which wood flooring to purchase but Floors Direct make it simpler for their customers and narrow the range down picking the most popular purchased floors with mid to high range wood quality at affordable prices. A very adaptive wood product that has natural wood on top and reinforced high density fibre wood underneath to enhance stability and durability of the floor. This is the first hand choice for modern homes that want to install underfloor heating systems as it is design to withstand moisture and fluctuations in temperature very well. In earlier years you would expect to pay double compared to today’s retail prices but now you can buy engineered wood flooring at low prices from Floors Direct. 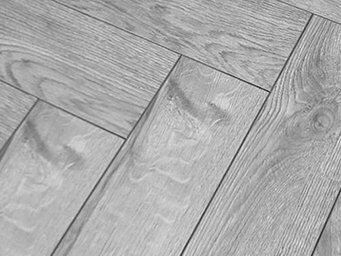 Prices for engineered wood flooring start from £14 m² and go up to £30 m² depending on the thickness and type of wood finish. Engineered wood can be used in any room of the house that has medium to high foot traffic. It can also be used in bathrooms and kitchens as they can be partially resilient to moisture and damp conditions. Solid wood floors are made from nothing else but 100% real wood. This is purely a natural wood product from top to bottom. These products are made from individual solid Oak planks in thicknesses up to 18mm with various finishes to give it a unique look. As this is a natural wood product you will expect each plank to be different in shade, colour and grain which add to the natural effect desired. You can purchase 100% natural solid wood flooring products start from £21 m² and we have a good range of types to choose from. Solid wood floors are only recommended to be used in areas that may not be exposed to damp conditions such as bathrooms and kitchens. Natural wood floors are commonly used in lounges, hallways and dining rooms. Most of the wood comes from real oak trees because of its abundance in availability and it’s strong, hardwearing properties. What makes these floors different from each other is the type of natural colours and treatments they go through to give it a unique finish. You can go for the all-natural untreated wood, our finishes which can also be naturally occurring such as Rustic or Hand-scraped look. If you want a slightly polished or smoother look you can buy the oiled or lacquered wood such as the honey oak. The beauty about natural wood products is that you may find knotted areas that enhance the authenticity of the floor. As many retailers and manufacturers will advise you that this is a natural occurring pattern and can’t be controlled or avoided. The method of installation of wood flooring whether it is engineered or solid wood varies depending on the type of surface and room but they both can be installed in the same way. Depending how well secured you require to lay the floor it can be either nailed, glued or both. As natural oak wood products are not cheap as synthetic products and neither as easy to clean, the care and maintenance may require far more effort to make it last as long as it could. If cared and maintenance properly it can last many years more than its synthetic alternatives. It is advised never to dampen the wood while cleaning wood floors it should always be dry cleaned. It’s recommend to use a dry-mop, sweep or vacuum with a soft brush head and avoid damp cleaning. If you find the wood is losing its shine or beginning to discolour you may need to apply a specialist wood wax. You can never treat the wood to avoid scratches but the best you can do is place mats or rugs where heavy foot traffic is expected and take great care while moving around or carrying heavy goods.